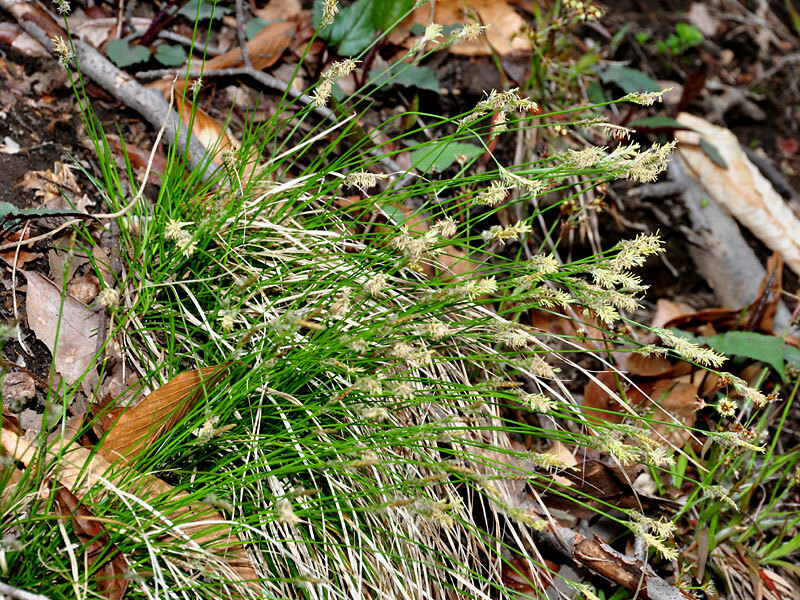 Carex albicans plant in bloom. David G. Smith. delaware Wildflowers. delawarewildflowers.org (Accessed 11/2017). Carex albicans is a perennial, densely tufted sedge, often forming small, circular mats, small, wiry, winter-green, flowering stems to 45 cm long, old dead leaves of previous season to twice as long as new flowering stems. Leaves very narrow, 0.05-0.25 cm wide, margin minutely toothed; new leaves shorter than flowering stems. Carex albicans inflorescence. By Arthur Haines. Copyright © 2017. New England Wild Flower Society. gobotany.newenglandwild.org (Accessed 11/2017). Flowers: Terminal spike male, lower spikes female, 2-3, sessile, closely spaced, mostly overlapping, inflorescence bract shorter than inflorescence, stiff, narrow, bract-like; pistillate scales with green center stripe, dark purple margins, egg-shaped, about as long as perigynia but narrower, not concealing perigynia, perigynia very finely hairy, beaked, achenes 3-sided with 3 stigmas; inflorescence terminal, 0.4-1.4 cm long, green, stems slender; blooming and fruiting April-May. 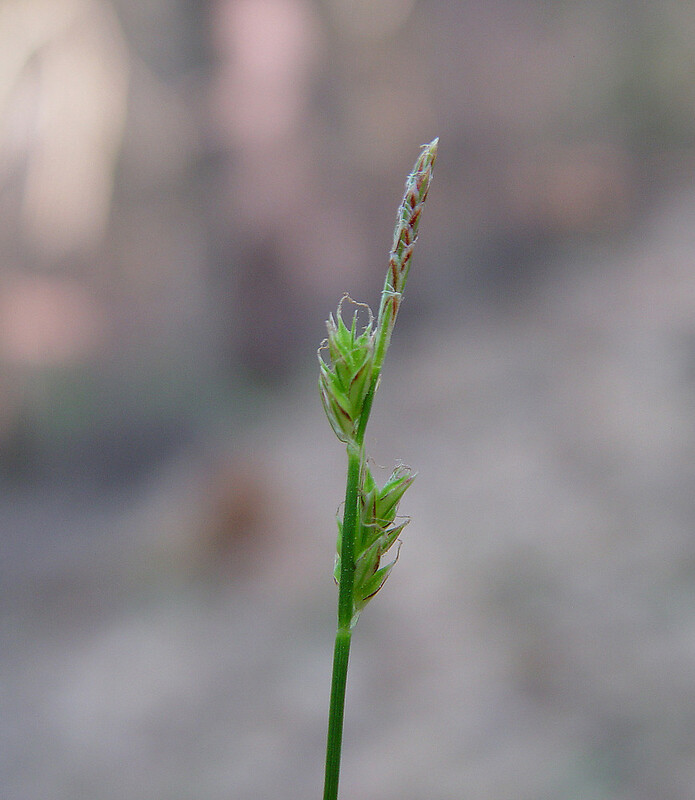 Habitat: Dry, open woods, one of the earliest sedges to bloom, often in same habitats as C. pensylvanica.